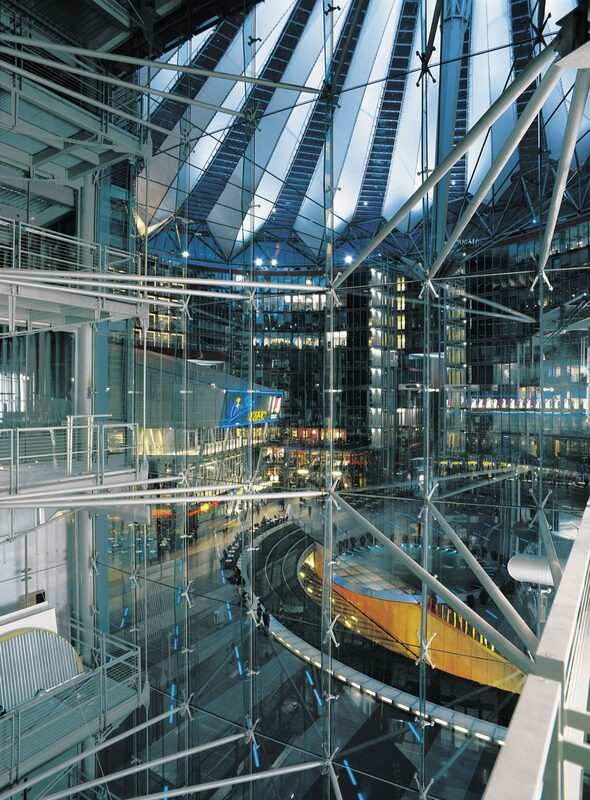 The futuristic Sony Center on the Potsdamer Platz in Berlin is one of the new symbols of the city. 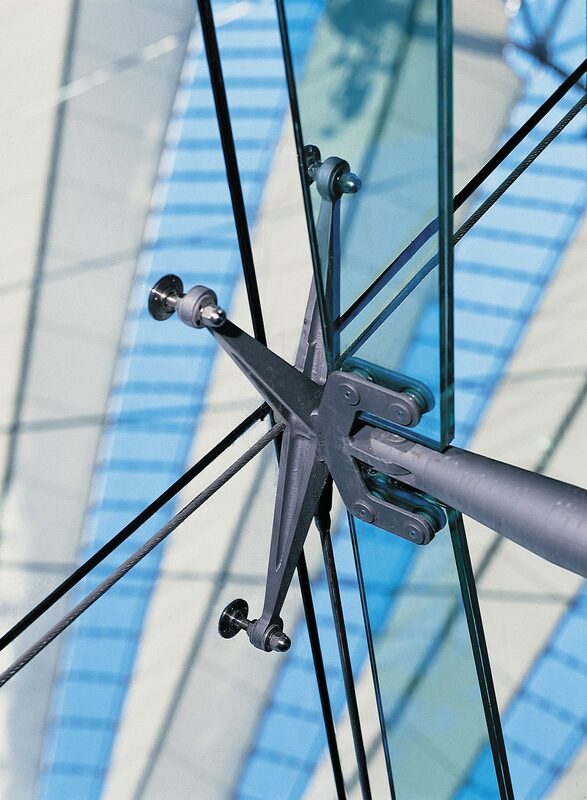 The special construction on the entrance facades of the Center employs both support beams running horizontally to the building, stainless steel rope suspensions, vertical fins of glass, stainless steel retaining arms and pretensioned safety glazing attached to stainless steel point holders. All components are optimized in their complex arrangement and in their dimensions. 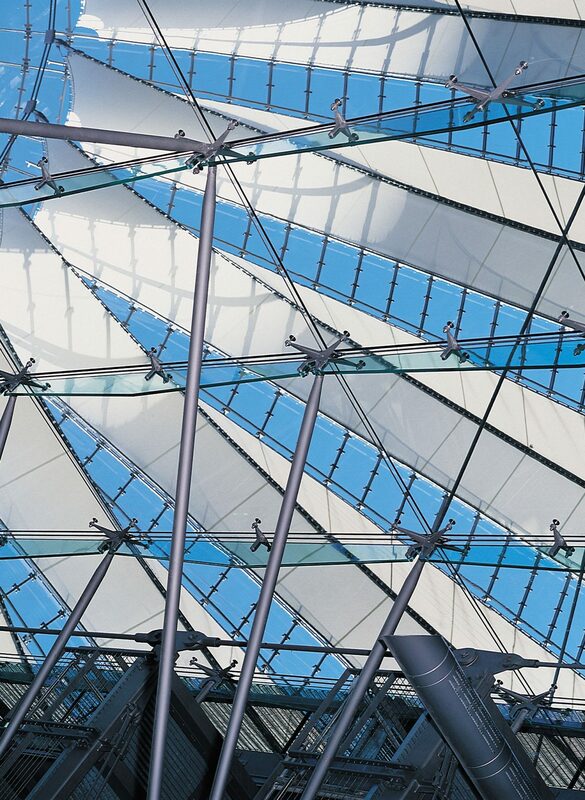 This produces a filigree, transparent facade whose structure makes an extraordinary visual impression.